At Body Fitness Personal Training, we don’t ignore bad movements. We FIX them! 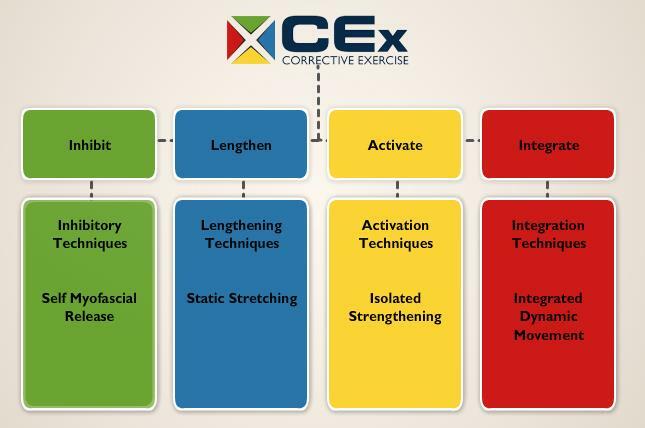 We are trained NASM Corrective Exercise Specialists to ensure we correctly identify and resolve muscle imbalances that often lead to pain and injury. There is a fine line between physiotherapy, rehabilitation and corrective exercise. All help to restore movement and function when someone is affected by injury, illness or disability. Generally, all also take a holistic approach that involves the patient directly in their own care and helps clients manage pain and repair using a number of methods to aid recovery. We have access to and often work alongside independent local physiotherapists to help people who’ve been affected by injury, illness or disability; providing Corrective Exercise therapy and injury rehabilitation, to help your speedy return back to health and exercise or optimal functional movement patterns. As we work to the National Academy of Sports Medicine (NASM) Corrective Exercise Specialists Standards, we have the ability to assist you with musculoskeletal impairments, muscle imbalances and rehabilitation using the most innovative tools and techniques for optimal results. Body Fitness Personal Training Ltd has highly qualified and experienced trainers as well as access to Spinal Manipulation, Massage Therapists, Chiropractors and Acupuncturists where necessary. • Fractures: a break in a bone. • Injury to the cartilage which protects the ends of bones. • Subluxation: occurs when a bone partially displaces out of the joint. • Stress or hairline fracture to a bone caused by repetitive strain or overuse. • Synovitis, inflammation of the membrane which holds the lubricating fluid in joints. • Osteoarthritis: wear and tear in the joints. • Fibromyalgia : widespread pain in the muscles, tendons and ligaments. • Arthritis : describes inflammation within a joint, although there are 100s of types! “I have sufferecd from seronegative rheumatoid arthritis since the age of 19, at times hospitalised. I have not really been able to get fit, build any core stability nor muscle support. I took the decision to try Bodyfitness, I don’t normally go to the gym. I find them intimidating places full of people doing all the things I can’t. Since walking through the door I have not looked back. It started with probing questions but the underlying factors are of motivation and support rather than what you can and can’t do. All aspects of my medical history were noted and the follow up physical assessment showed me the team knew what they were talking about. Basically they looked at me walk and knew that is where they needed to start.